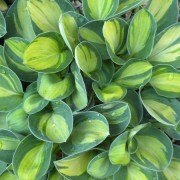 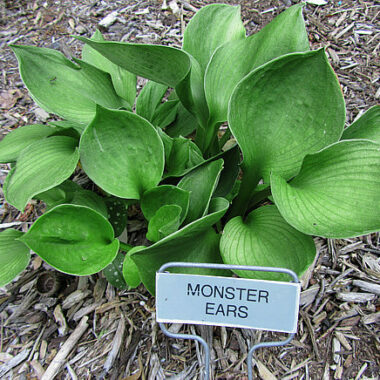 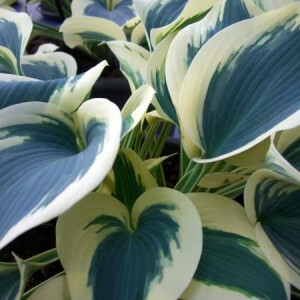 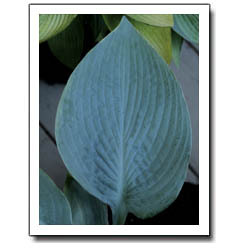 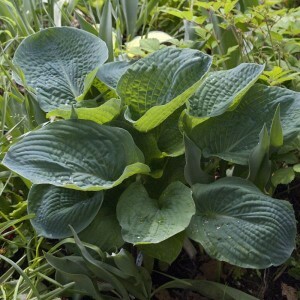 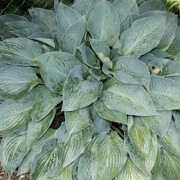 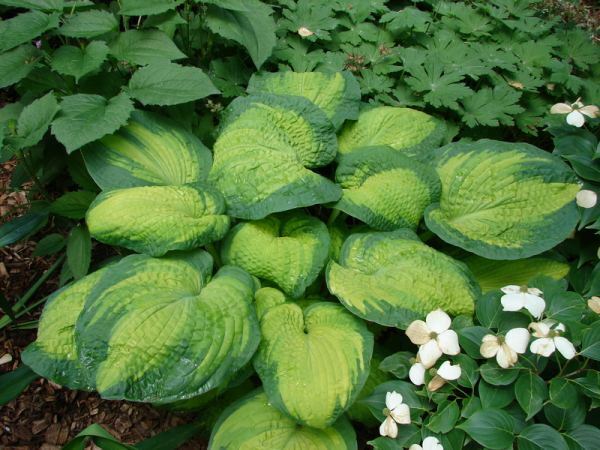 This fabulous hosta has three luscious colors. 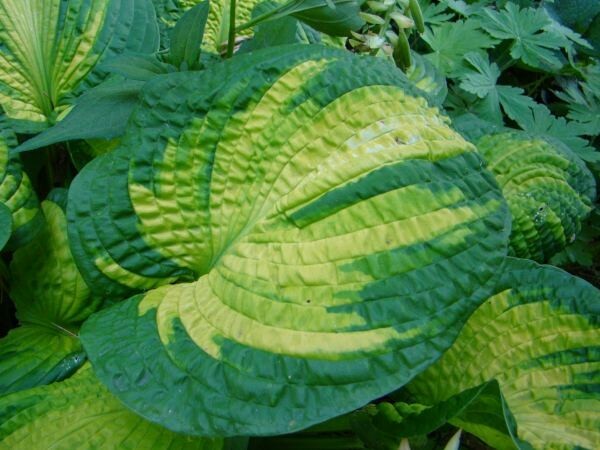 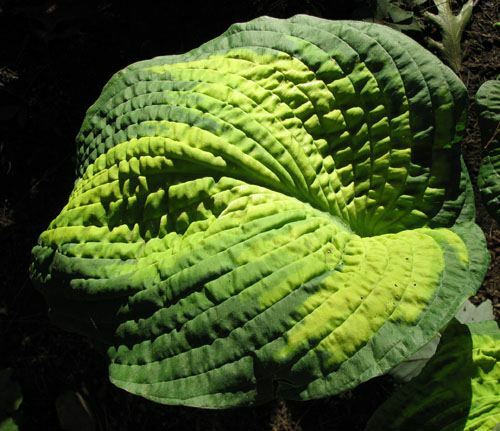 The center of the leaves have a maple leaf pattern which turns gold in the center, bleeding out to a chartreuse and then edging in deep green. 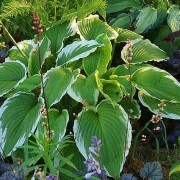 Pure white, tightly packed flowers sit on the top of the plant. 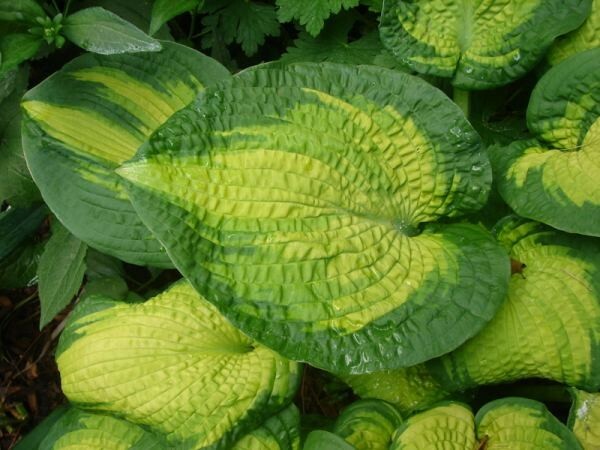 H. ‘Brother Stefan’ is always the first to catch the visitors eyes. 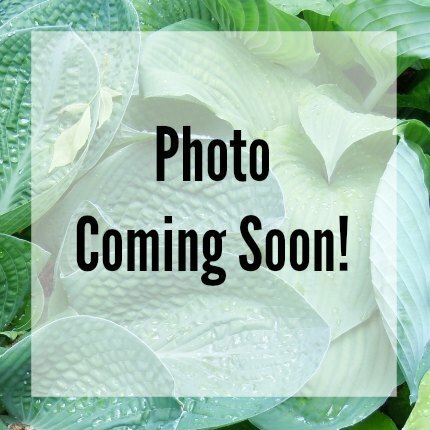 Large: Large mound 28″ high by 62″ wide with leaves 12″ long by 10 1/4″ wide (17 vp) margin 2′ to 3″ wide.